Daily Debate: Should Future Zelda Games Introduce More Romance? The Zelda series has always had small flirtations with the concept of romance. Many of the 3D Zelda games have a suggested love interests for Link, such as Illia and Midna in Twilight Princess, or Saria, Malon, Princess Ruto, and Zelda in Ocarina of Time. 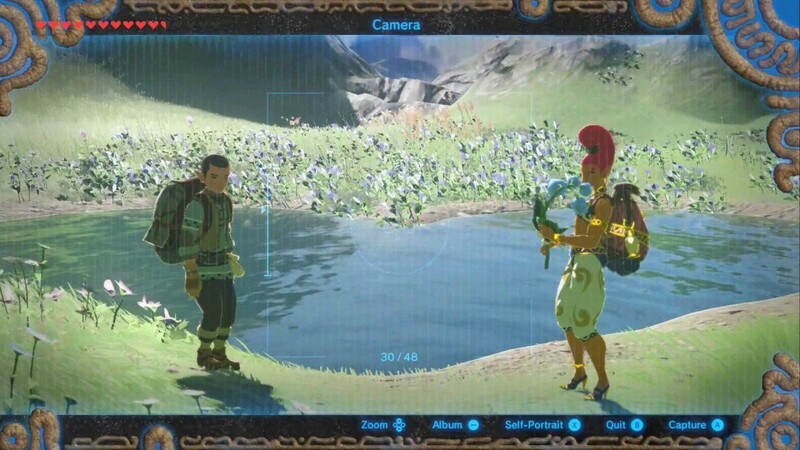 Even Breath of the Wild — though it seemed that about everyone was romantically interested in Link — saw romance bloom between Wabbin the Hylian and Perda the Gerudo woman at Lover’s Pond. Oh, and we can’t forget the wedding between Hudson and Rhondson of Tarrey Town! But with all these romantic elements peppered into the series, is there still room for more in future games? I’ve always enjoyed the little bits of romance Zelda games have presented, but I would definitely love to see more. Do you think future Zelda games should introduce more romance? Let us know in the comments below! This Daily Debate was inspired by @Skip7785 on the Zelda Dungeon Discord. If you have an idea for a Daily Debate that you would like to see published, join our Discord Channel and pitch it in #daily-debate!